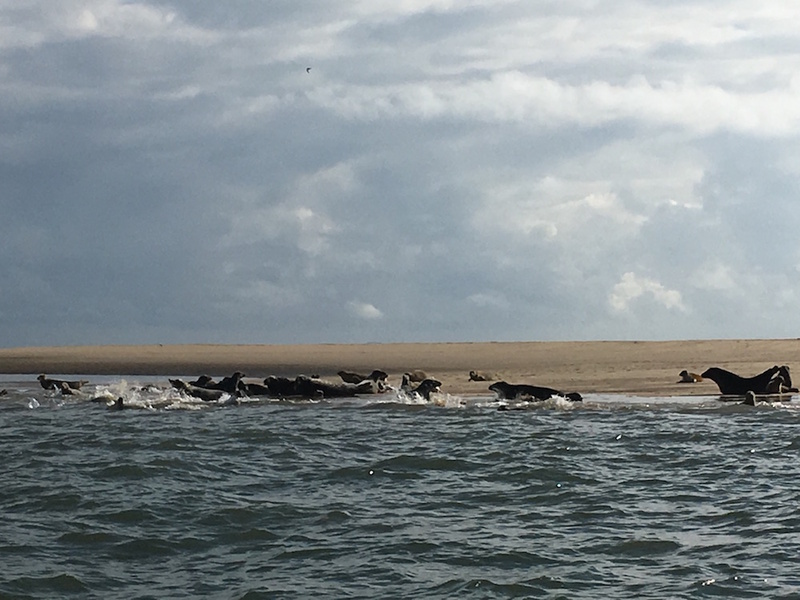 Two miles off the coast of Great Yarmouth there’s a sand island that is home to thousands of seals and a cluster of wind turbines. This summer I took a trip out there on Southwold’s Coastal Voyager. It’s exciting to see the land from the sea – Southwold, of course, looks enormously pretty and self-contained, bound by the Blyth to the south and Buss Creek to the north; the erosion further up the coast is evident with bright sand cliffs and suddenly-ending forests and farmland. It’s coming into Lowestoft and Great Yarmouth that you see evidence of the offshore energy boom, with Gulliver the wind turbine and the Orbis Energy building marking the most easterly point of Britain. Cranes abound in the harbours of both towns, and modern factories sit alongside centuries-old buildings and statues that have, through the years, served and celebrated the sea. Getting to Scroby Sands you’re greeted by large numbers of curious seals (collectively a ‘bob’, I gather, which is rather fun), who, conditioned to a life with no predators, gather round the boat to inspect its inhabitants. 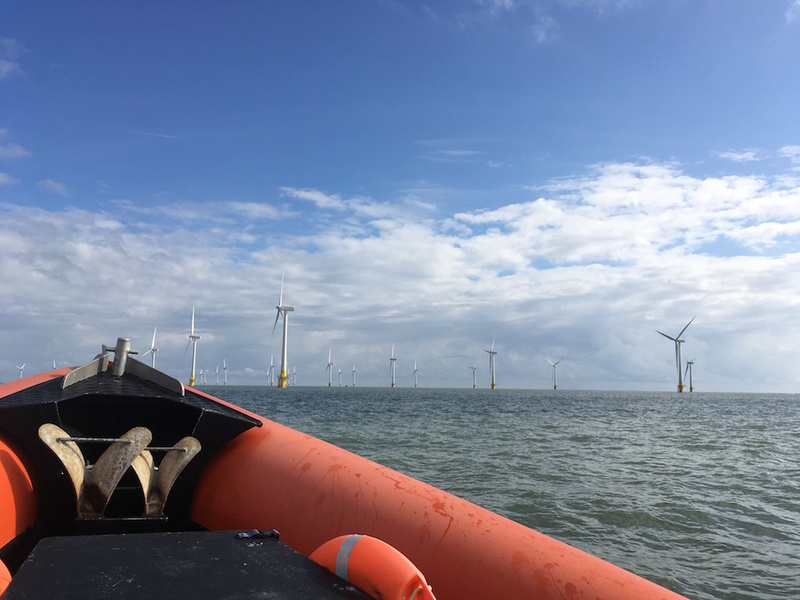 Having bobbed about with the bob, we then head off to the wind farm – those things are huge close up, and the experience of sitting directly under a sweeping blade quite un-nerving. This was one of the UK’s first offshore wind farms and powers 40,000 homes. Heading back we stopped off at the Royal Norfolk and Suffolk Yacht Club for loos and hot chocolate before being subjected to the inevitable and stomach churning sea blast on the way back to Southwold, much to the delight of my son Will. It’s a privilege to work somewhere where nature, technology and tourism coexist so comfortably. Even fifteen years ago it would have been impossible to house Spring in Southwold, but, thanks to broadband and the changing nature of our industry, the team here is always able to seize the opportunities of our location – whether that’s through the working opportunities it brings, or the simple joy of using the sea for our leisure time.